Each month we want to shine the spotlight on a local business we've worked with in the past! We know how frustrating it can be trying to find the best contractors, builders, architects and design stores, we live in a world so filled with information it can be hard to filter it down to find the best Vancouver has to offer. The businesses we will be talking about are trusted creative partners and in a competitive industry we feel that its important to talk about them! Espace d is a contemporary home decor boutique owned by Pierre Derreumaux, previously a Residential Designer in Montreal, he moved to Vancouver and opened up Espace d. Situated in Gastown, Vancouver the store is chic, bright and beautifully designed with large white walls and multitude of local art, you can tell each item is mindfully curated with a focus on function and backstory. My favourite part of the store is Pierre's Brussels Griffon names Lucy, the best greeter in Gaston. We've picked a few of our favourite items from the store, all of which can be purchased online. Open a bottle of wine, place the Wine breather deluxe over the bottleneck, and flip it all upside down – the wine will run through the decanting unit and into the large-surfaced carafe for perfect aeration. Flip it all around once more to get the wine back in the original bottle, pour it, and taste the advantages of a wine with 10 times the oxygen. 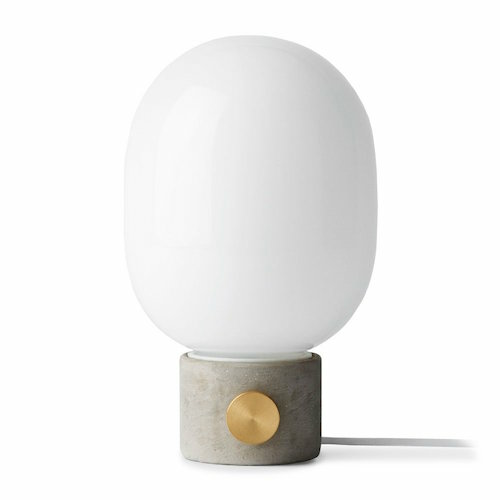 Cleverly designed by Norm Architects. Less is more with Synnes Chair, a distinctively modern take on the classic Scandinavian dining chair from one of the region’s most exciting young designers, Falke Svatun. The seat places its emphasis on physical comfort with a sturdy backrest and a wonderfully deep seat, as well as visual pleasure with its gentle curves and natural material. The absence of armrests allows it to be pushed under the table when not used, which is ideal for small living spaces or simply a less cluttered look. Hav [how] is Nordic for “sea”, the endless coastlines of Scandinavia surrounded by the cold waters of the North Atlantic, Baltic and Arctic seas. Notes of water flora, driftwood, sea froth and fresh air. 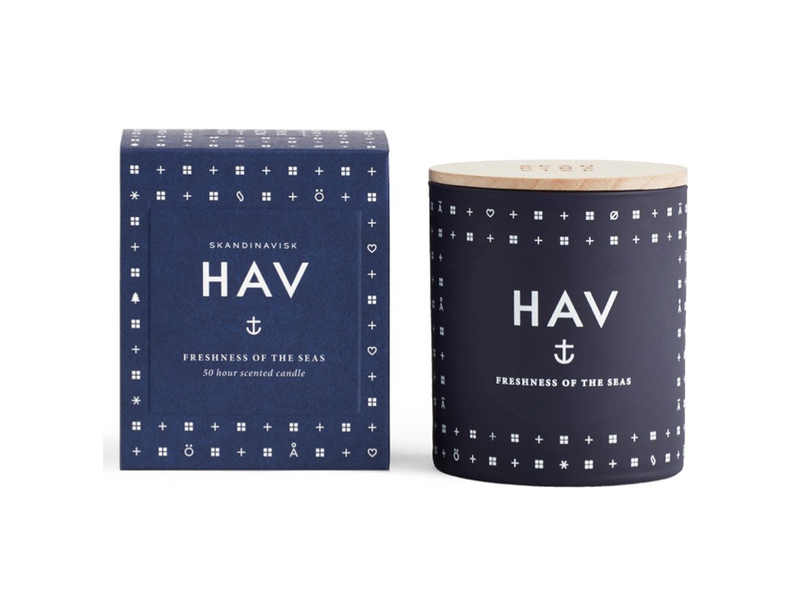 Blend of perfume and vegetable wax with a 100% cotton wick and engraved beechwood lid. 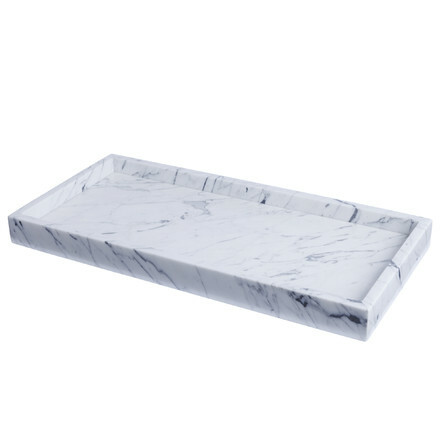 Minimalist with raised edges, the marble tray is a solid pick in all its modernity and a delight to the eye. Use it as a display or serving tray, or as an organiser on a desk. Its unique marble grains create a natural and individual expression, meaning no two trays are alike.